Seventh and 13thC church with Saxon features. Parts of the building, the base of the tower and the baptistery are late 7thC, built with stone from Corstopitum. 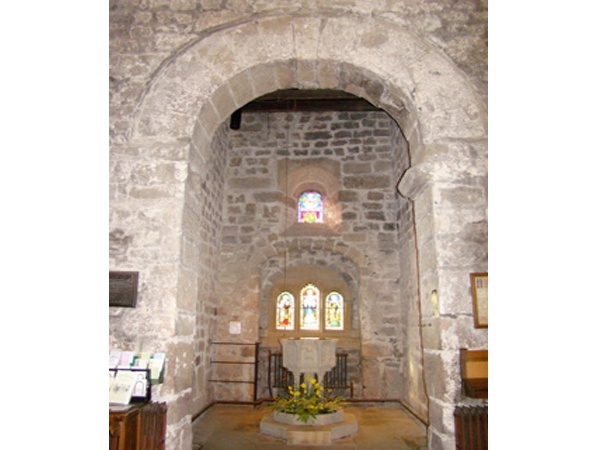 The arch at the west end of the nave was one of the gateways into the Roman settlement at Corstopitum and is dated 150AD. Even the oldest 'born and bred' Corbridgean can recollect but a small part of the village's history. 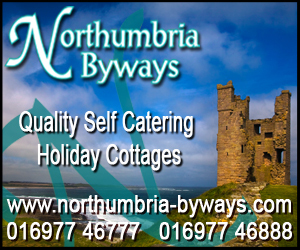 Apart from the several church guides, more detailed notes can be found in 'the History of Northumberland volume 10' or if you are after more social and economic details you should acquire a copy of Corbridge - Border Village by Walter R. Iley. He was for several years one of the guides in St. Andrew's. Walter had the wonderful knack of bringing history to life. It is quite certain that although the Romans had a store camp at Corstopitum during the time of their occupation, most of village life seems to have evolved around St. Andrew's Church. 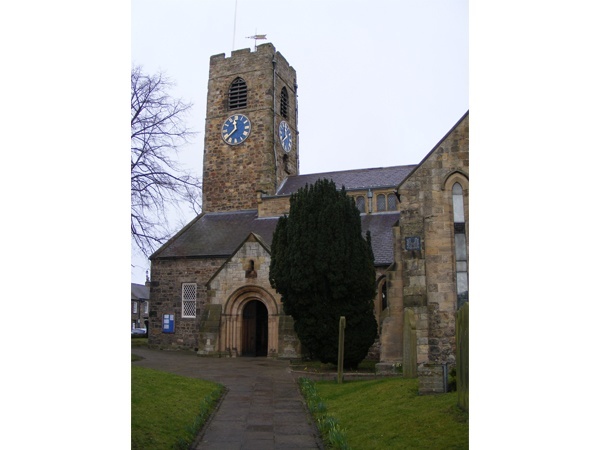 St. Wilfred, responsible for the building of Hexham Abbey, sent his monks to Corbridge among other places to build a Saxon Church or a monastery. There are still remains of that church built about 774. The monks, we would say, went out and about to minister to the spiritual needs of the community. 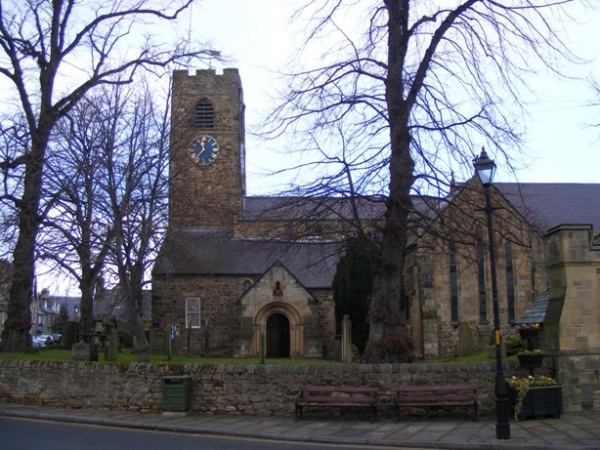 The Church we see in the centre of Corbridge has been radically altered and modernised to deal with Danish and other marauders through the centuries. 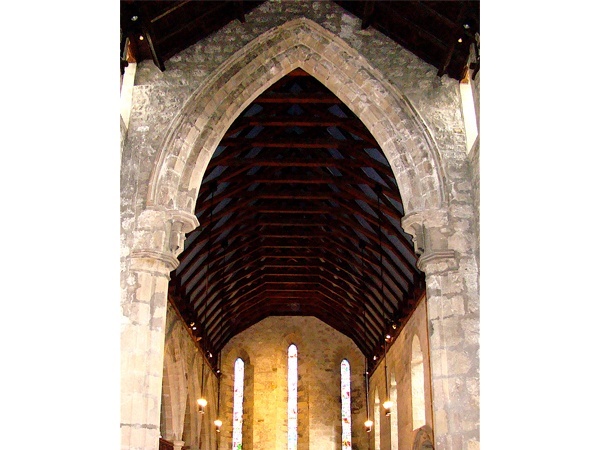 Reminders of this can be seen inside and outside - inside four arches cast our minds back, the Saxon window at the west end of the church, the Roman archway at the base of the tower, the Norman doorway and, one of the gems of St. Andrew's, the beautiful early English archway. 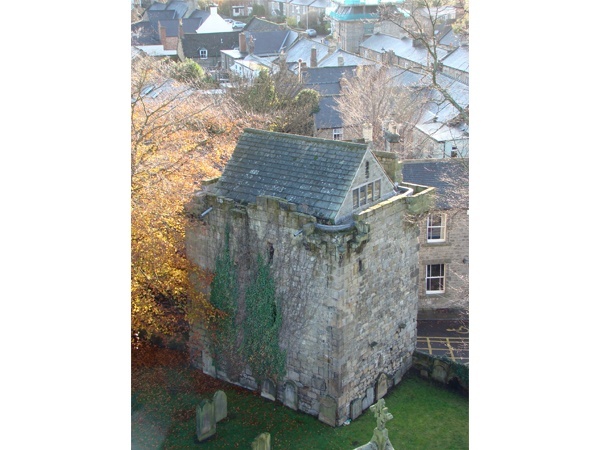 Outside there is the fortified pele tower used by earlier vicars as a vicarage. Back inside there is much evidence of other points in the history of St. Andrew's. The grave slab of Aslin son of Hugo - a reminder that Corbridge at one time sent members to Parliament. 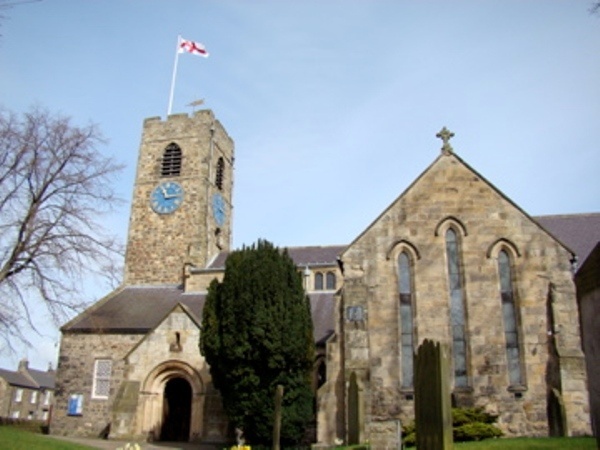 The booklet, 'Look at St. Andrew's Church Corbridge' gives many points of interest. St. Andrew's carried out many alterations in the nineteenth century - some of which are arguably good and some bad. Changes in our social life are taking place all the time as in our liturgy. The next year or so will see more changes in St. Andrew's to make it more suited for the 21st century. 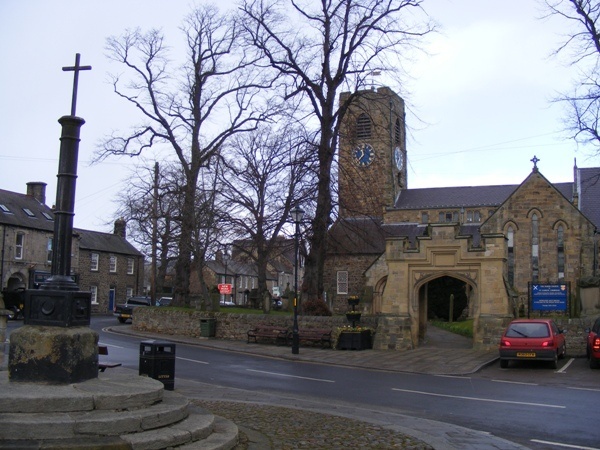 Perhaps we should remember that St.Wilfred sent his monks to Corbridge - to minister to the needs of the local inhabitants - and we in the 21st century, as regular worshippers, have the same task - not only to worship but to go out into our lovely village and minister to our other villagers. Activities based on St. Andrew's in the year 2000 include :- regular worship, a young people's church, a mothers' union, a women's fellowship, prayer groups and a choir. Open all year 9:15 to dusk.